Can the vision of healthy forests and healthy communities bring together traditional adversaries? This publication tells a story of collaboration that moves beyond the tales of the ’90s-era timber wars. 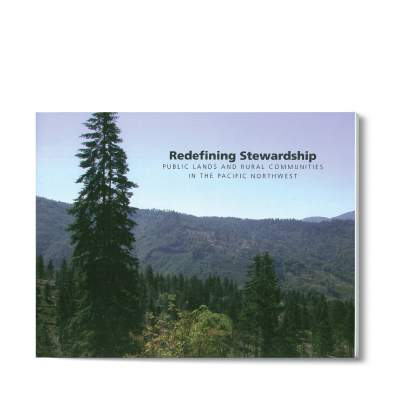 We share how four groups across the Pacific Northwest are acting on recent federal stewardship contracting authorities to help manage National Forest lands for watershed and community health. In the process, these innovators are redefining an essential 21st-century value: stewardship.